$279.99/day. Entertainment for your kids isn't rocket science, it's our rocket combo! 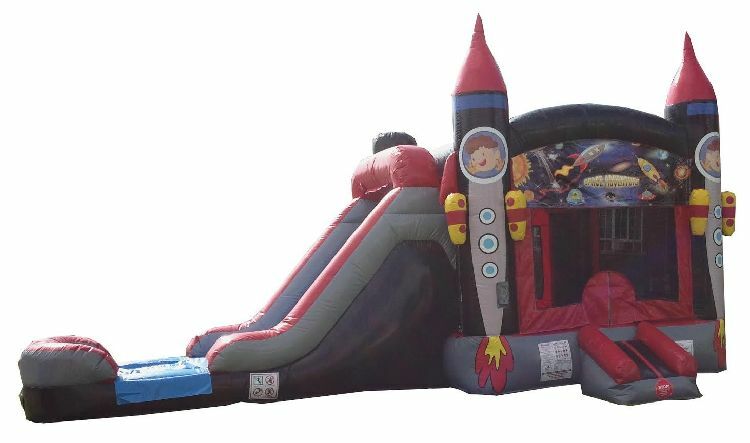 Has bounce area, climb wall,and slide. Basketball hoop inside and outside on this combo!